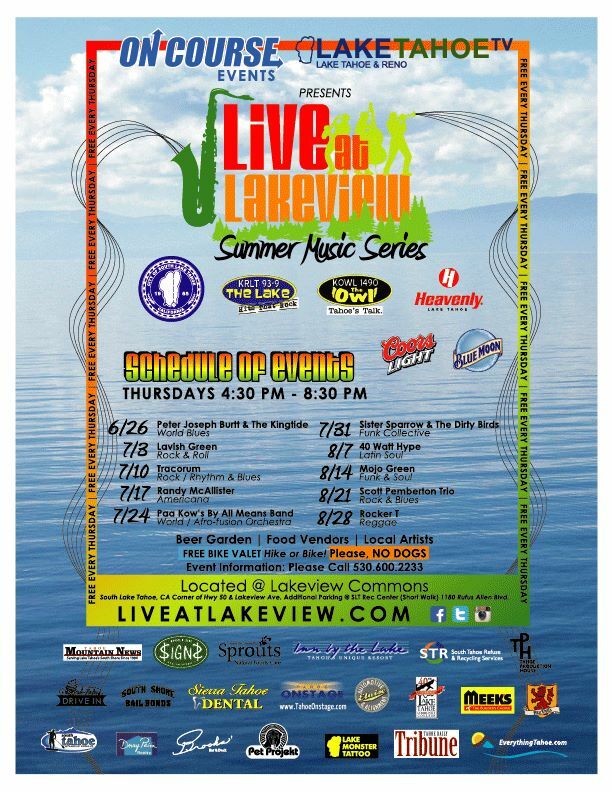 The media blitz for Live at Lakeview has begun, and it’s all thanks to our local media sponsors! 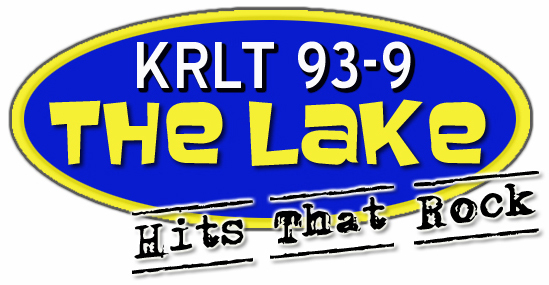 Pretty soon you won’t be able to tune into Lake Tahoe Television or KRLT/KOWL Radio without hearing about the series. Both of these media sponsors have been HUGE supporters from day one of the series with weekly interviews, daily commercials and constant encouragement. 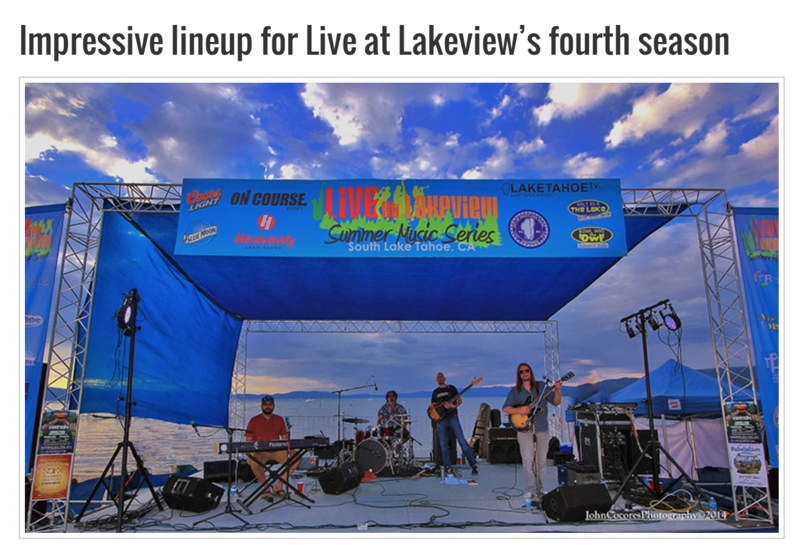 Every time you pick up a copy of the Tahoe Mountain News, Tahoe Action or Lake Tahoe Entertainer you’ll be able to scope out the lineup and plan your summer! Most of these ads and write-ups are provided as a trade for sponsorship of the series. 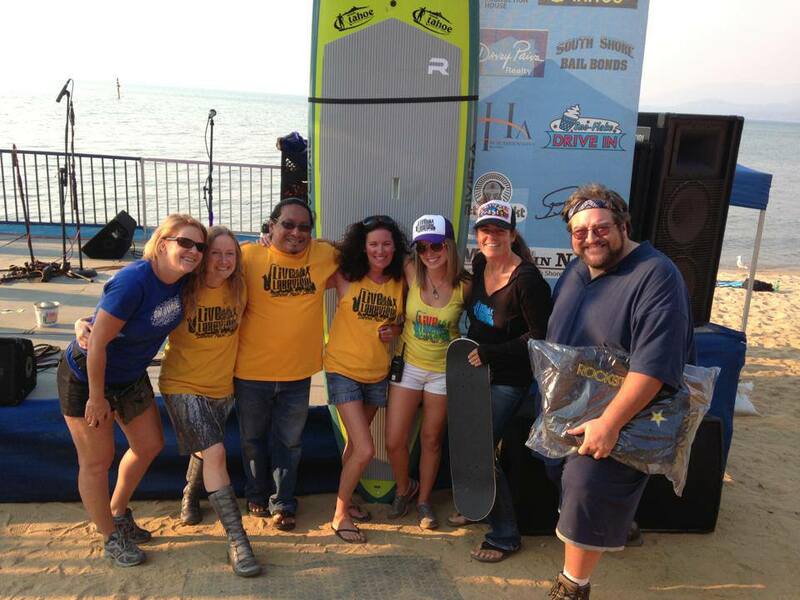 True Tahoe Support like this makes it all possible! For those of you who are not located in South Lake Tahoe and don’t have the privilege of picking up a local paper when you stop by Sprouts (one of our favorite Live at Lakeview sponsors) for lunch, there are a lot of online publications spreading the good word as well! 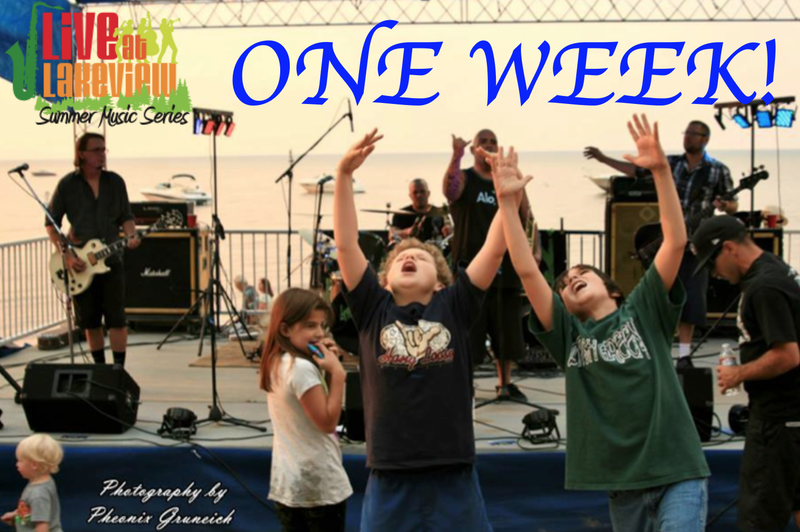 TahoeOnstage.com will be providing insight to each week’s entertainment. Their staff has an uncanny ability to connect with artists and provide a unique insight to the style and sound that defines each band. They will also provide recaps so you can relive the magic or catch up on what you missed. Who dares to miss out on a Thursday night thought?! 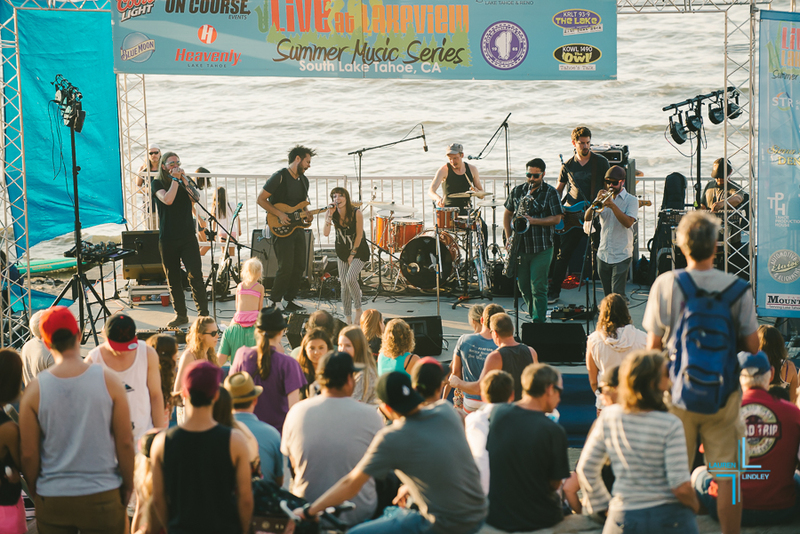 Thanks to TheTahoeJournal.com, you’ll be able to catch recap photos from each weeks concerts on the beach and select entertainment previews throughout the season. We’re stoked to have this new media sponsor on board, they rock and you’re gonna want to check them out. 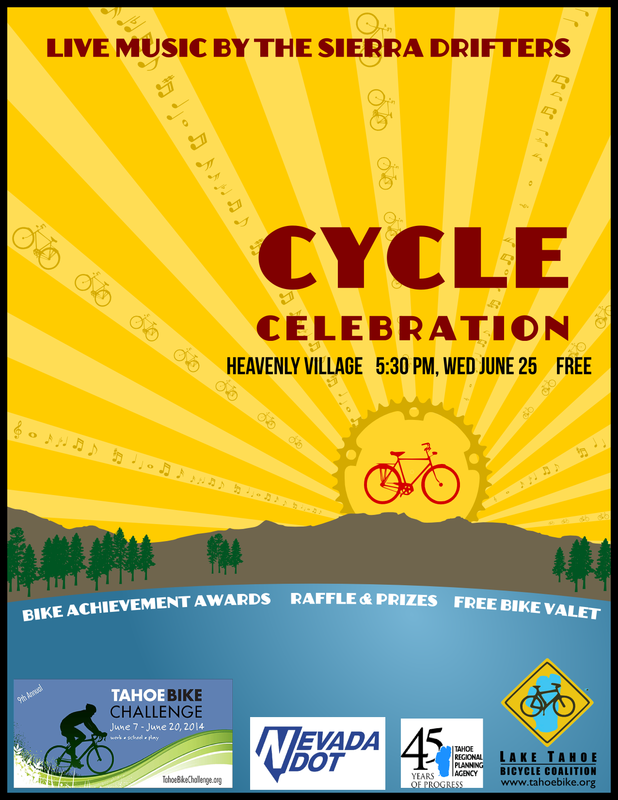 You’ll also find tons of event information on SouthTahoeEvents.com, among many other online calendars. 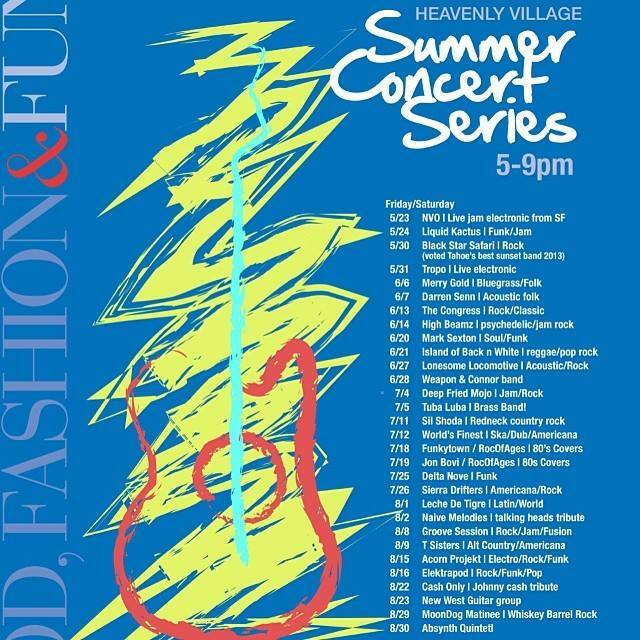 The information is out there, so get tuned in, start making your summer plans and we’ll you on the beach real soon! If you’ve started to notice all your friends and co-workers have been requesting Thursday’s off this summer, well that’s because they know what’s up! 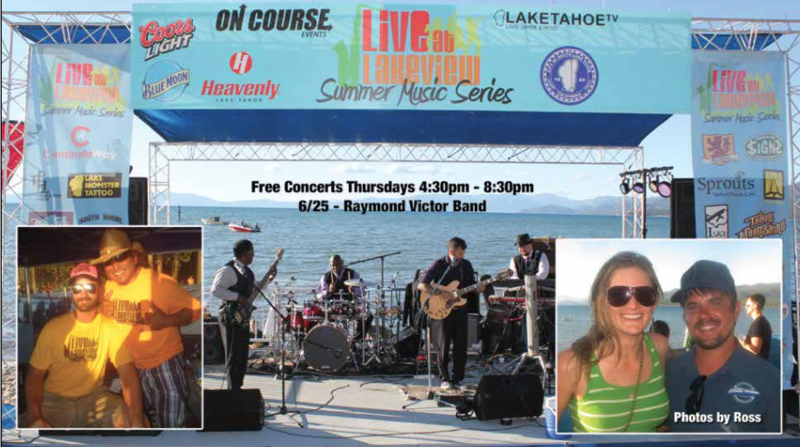 South Lake Tahoe’s signature summer concert series, Live at Lakeview, is returning to the beach on June 25th with ten weeks of incredible music lined up! 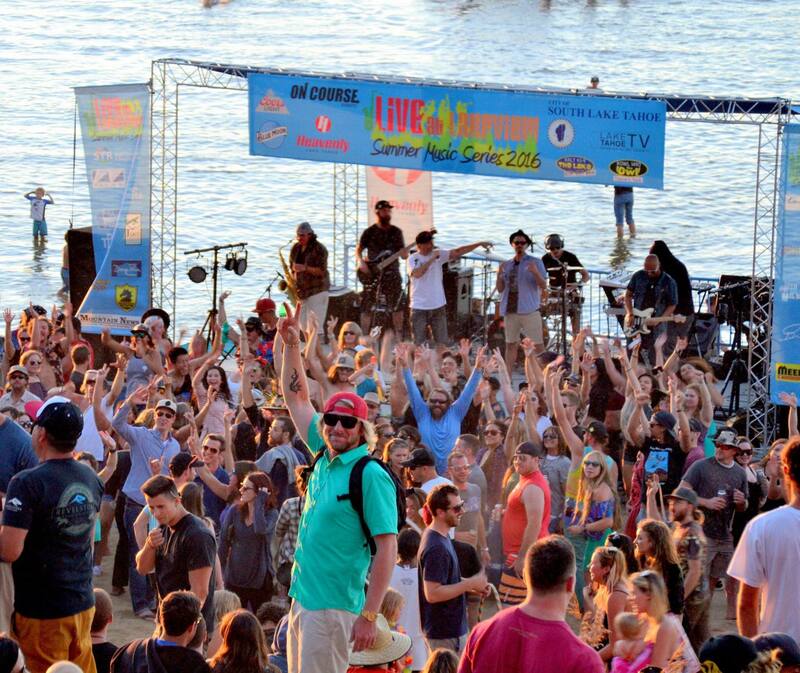 Now is the time to preview the lineup, request Thursdays off from work (and Friday’s if you know what’s good for you) and most of all, get STOKED for a great summer filled with live music on the beach! One of the most commonly asked questions! You know this 10-week series is FREE to enjoy, but it’s not free to produce. So, HOW does it all happen? The community support has been incredible since season one, with more new sponsors getting involved each year! As we gear up for season four, there are 30 local businesses and organizations (count the logos above) that have offered their support through monetary sponsorships, equipment and/or services trades, and shared promotions. Some are able to make larger contributions but the fact of the matter is that every little bit helps. We’re proud to have so many incredible sponsors and ask that each of you pass along your appreciation to each and every one of them. Whether its your employer, favorite lunch spot, or local newspaper – make sure you express your gratitude to each of them for the ten weeks of fun they have provided for you! Next time you stop by Sprouts Natural Foods Café for lunch, thank Tyler & Cheryl for feeding keeping your favorite musicians fueled up so they can rock the beach for you! 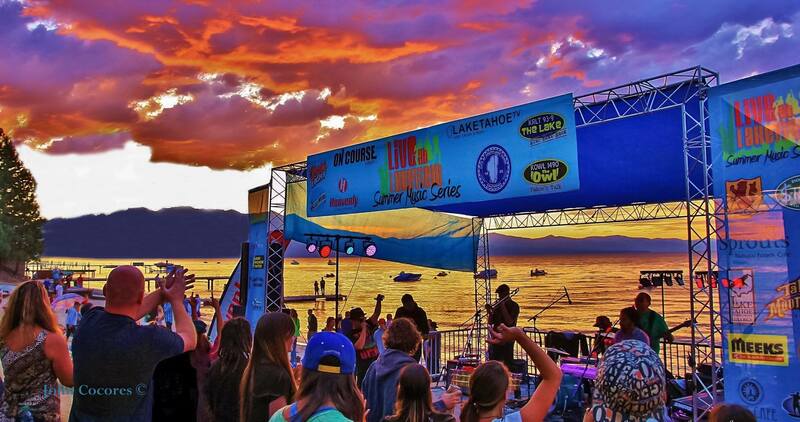 When your friends and family see the lineup and want to join in on the fun, send them to our friends at Inn by the Lake for incredible lake views and great deals within walking distance from the venue. Don’t forget to thank them for housing all of our entertainment so this could all be possible! When you stop by Sno-Flake Drive In for ice cream, thank the new management for the great events they’ve helped to support! 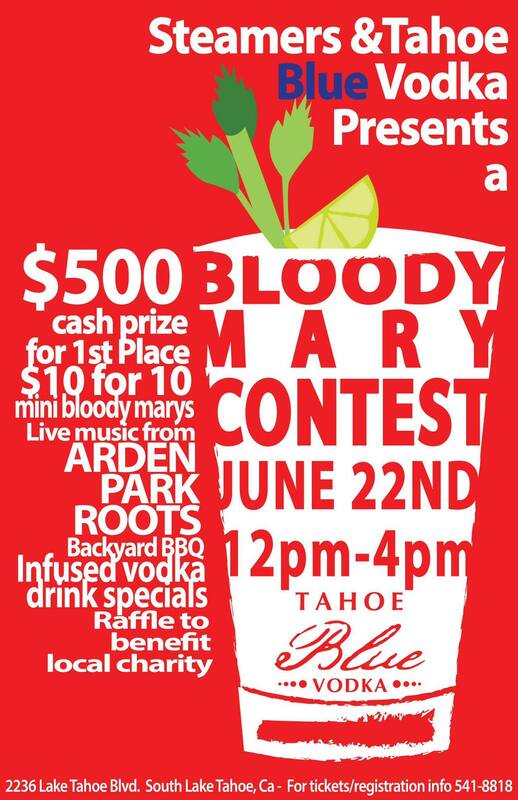 When you need an adjustment after too much dancing on the beach, stop by and see one of our newest sponsors at Tahoe Chiropractic Clinic (located behind Sprouts). 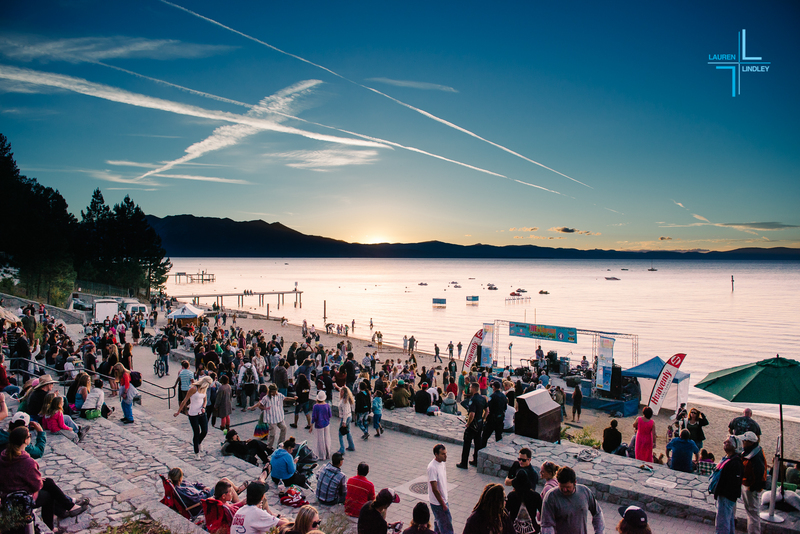 If you run into any trouble this summer in the day-to-day Tahoe life, such as legal issues, car troubles, or the daunting idea of moving into a new place – our friends at Woelfel Law Firm, South Shore Bail Bonds, Eloise Automotive and Davey Paiva Realty are all here for you! 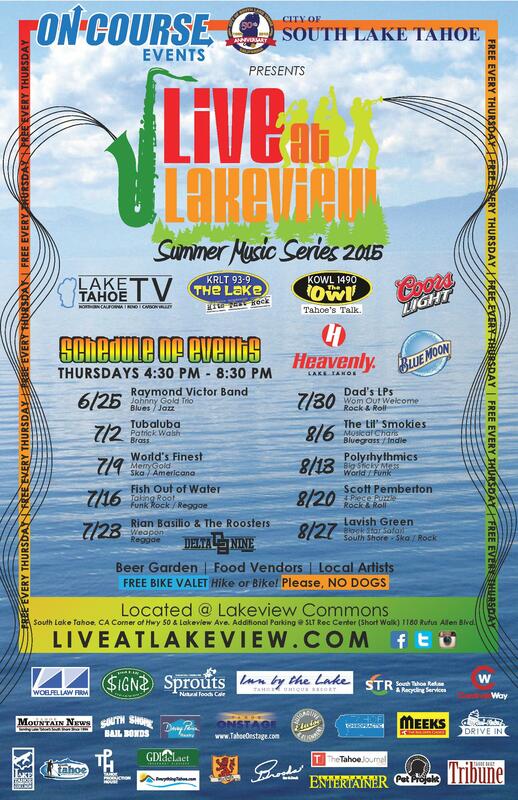 Just make sure you let them know how much you love Live at Lakeview . I think you get the idea, so thank you all for spreading the love! We can’t wait to see you on the beach. 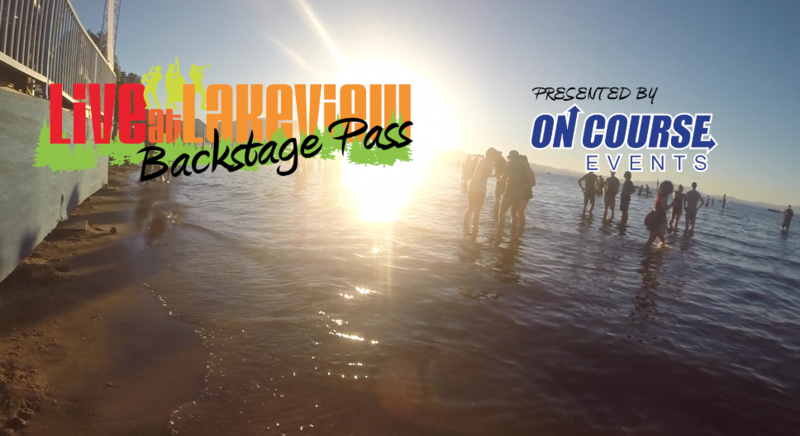 Stay tuned to our blog for exclusive coverage on upcoming entertainment, a backstage look at all the work that goes into each show and tons of insight on the amazing amount of support this community provides in order for you to have enjoy the great music, great vibes & great views at Live at Lakeview every Thursday. Spaces are limited and filling up quickly. You’ll need to submit a 2015 Vendor Application, along with all the required permits and initial payment by June 1st to be considered. 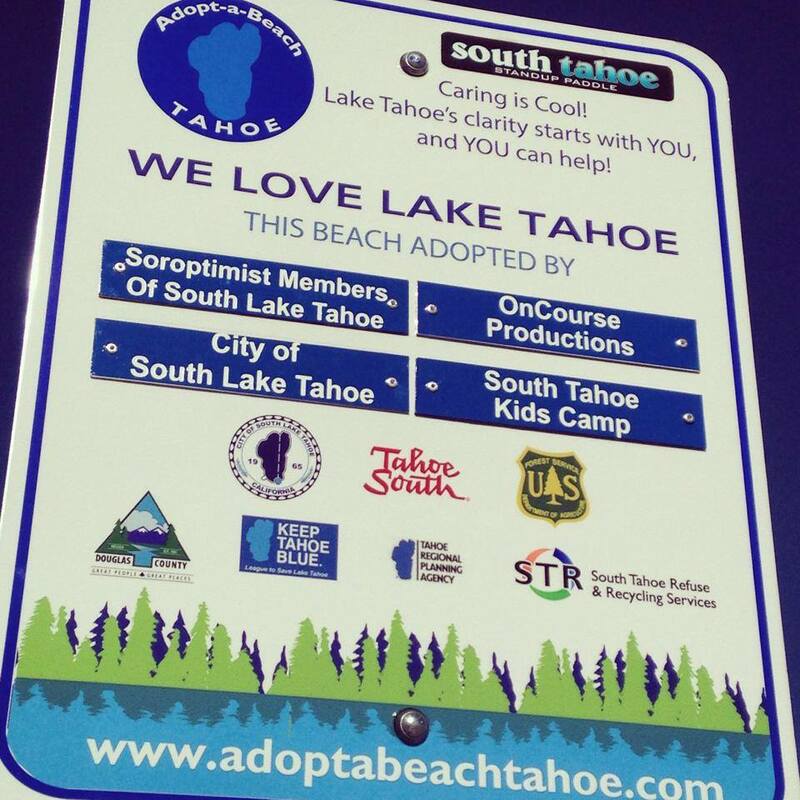 We LOVE Lake Tahoe so much that we adopted Lakeview Commons beach! We host weekly beach cleanups every Monday morning from 9:00 – 10:30 am to help do our part in taking care of our favorite beach! Over the last 9 weeks our crew and volunteers have collected over 300 lbs of trash! We’re hosting our final cleanup of the season on Monday, September 1st – join us to help increase our impact on the lake! And please beach responsibly, ALWAYS PACK YOUR TRASH!